With 3.3 million apps in Google play store, there’s no denying the fact that the Android market is growing expeditiously. It has leveraged us with countless facilities and opportunities. But on the other side, it has alarmed us about the data threat. Since the Google play store does not strictly monitor the applications, as seen in case of iPhone app store, there are higher chances of approval of a malicious Android app. As people use applications for performing almost every task, including banking, shopping, and booking, it is developer’s responsibility to look into the security matter. And thereafter, provide a convenient and secure user experience. Data processing is a crucial sensitive part of the mobile phone application. It enables availability of data and faster processing. But since it contains sensitive information, it demands the need to be secured. According to the top mobile app development companies, a compromise with the security in data processing is the most common source of potential data leaks. Wondering how? Well, as you might be familiar that sensitive data should be encrypted. 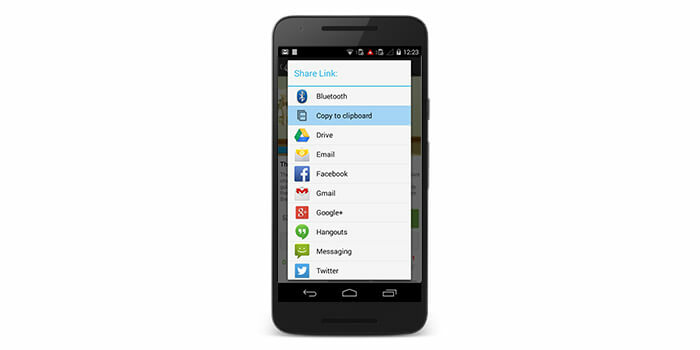 But to encrypt any data and use it further, you need encryption keys provided by the app. Many times, the keys are saved on the device, which is one of the reasons behind leakage of data. Actually, the encryption keys are saved in plain text form. If the hackers get access to such an encrypted database, they can easily find the public key and decrypt the database. Surprisingly, this is so easy that one can do it using public keys available online. This is a question to the concept of encryption and secure user experience. 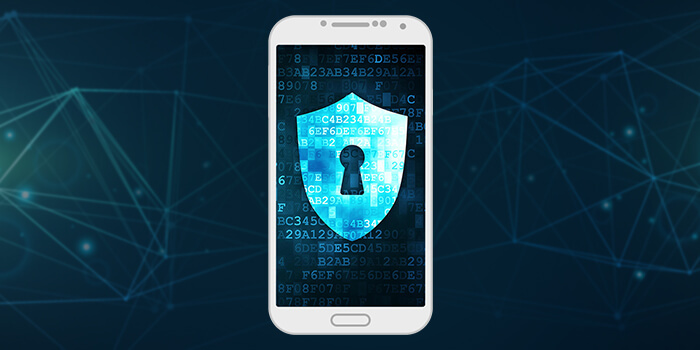 To make it certain that the encryption keys are handled safely, the android apps development companies should use a set of Android data encryption tools called KeyStore. It is a class designed for storing and managing encryption keys with the most secure algorithms used across the globe. According to our experts, it handles everything in such a way that it is difficult for the hackers or unauthorized/spam software to get the information. On top of it, it provides the best performance and upgrade the data processing speed, provided all the encryption keys are handled wisely. Usually, HTTP protocol is used for transmission of data between a mobile app and a server. The data transferred using this protocol is not encrypted. So, it is better to use its encrypted version, i.e., HTTPs. Based on TLS/ SSL asymmetric cryptography, HTTPs renders a fairly higher level of security. However, it is necessary to be implemented with accurate care. To encrypt communication via HTTPs, the server needs to have the facility to handle HTTPs connection. When this condition is applied, the client is supposed to send a request to the address beginning with ‘https’ protocol. During this, the server and client build parameters of the encryption in a process, namely handshake. On performing handshaking correctly, the communication is encrypted. As per our experts, it is essential to fully implement the HTTPs connection. This is because someone might misuse the content in case of a man-in-the-middle attack. In this attack, a node (program or device) is kept in between the android app and the server which decrypts the connection just like the app, read it and re-encrypts it again. Neither the server and app, nor the user come to know about this mishap, and the sensitive data will get misused. To prevent this situation, a developer can add certificate inside the application code such that the app can verify the server certificate. This way, the Android mobile application will receive a response only from a server with a certain certificate. Have you ever come across the situation when you have accidentally pasted the password into login section, or send it in a private message. Such things are common to observe, thanks to data caching. Data Caching mechanism is to make the user’s life easier. The two common types of this mechanism are User’s dictionaries and Clipboard. The User’s dictionary suggests words on the basis of user’s earlier word choice, while the Clipboard allows transferring data between mobile apps by saving it in the system memory temporarily. These elements make the user’s experience comfortable and efficient. That’s why various app developers include them in their Android app development strategy, regardless of the fact that it involves risk. As this procedure works automatically, it saves all the information without categorizing the content. Thus, passwords and other sensitive information are also saved as text in the clipboard and dictionary. Now, if the android device user goes to some app where keyboard stimulates to replace the typed content with the password and he clicks okay, the password will be shared across the Internet as a searched phrase (search logs, search result or caching algorithm). Thus, the data security is compromised. The best way to prevent this situation, as per the best android app development services providers, is to set the appropriate input types (like ‘password’ types). And this way, block auto-caching as well as refrain copying the content to the clipboard. Other essential elements to consider in developing an Android mobile application is Logs. The Application logs are useful for the app professionals while analyzing the work of algorithms behind the data processing inside the applications. They can ensure that the sequence of processing is right or the results are desirable. But, unfortunately, the logs might contain sensitive information like passwords or access tokens and are stored locally on devices. They are publically readable and accessible by many other apps installed on the same device if it works on an OS version lower than Android 4.2. The best method to deal with this situation is to ensure that your Android app does not use logs. Though they are helpful, the developers do not need them for the production version of the app. When talking about Data leakage and Security in an Android app, it is not limited to the above four points. There can be more places of data leakage and so, if you are building a mobile application, you need to be familiar with all the possible problems and should be eager to implement all the possible means of data protection. And this way, minimize the risk of leaks.